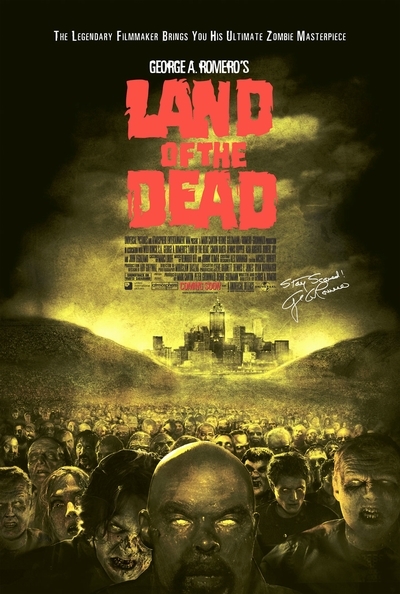 Story: George A. Romero's Land of the Dead is the acclaimed director's long-awaited return to the horror genre he invented, beginning with the seminal Night of the Living Dead and continuing with Dawn of the Dead and Day of the Dead. In this new tale, Romero creates a harrowing vision of a modern-day world where the walking dead roam an uninhabited wasteland and the living try to lead normal lives behind the walls of a fortified city. A new society has been built by a handful of enterprising, ruthless opportunists who live in the towers of a skyscraper, high above the hard-scrabble existence on the streets below. But outside the city walls, an army of the dead is evolving. Inside, anarchy is on the rise. With the very survival of the city at stake, a group of hardened mercenaries is called into action to protect the living from an army of the dead.